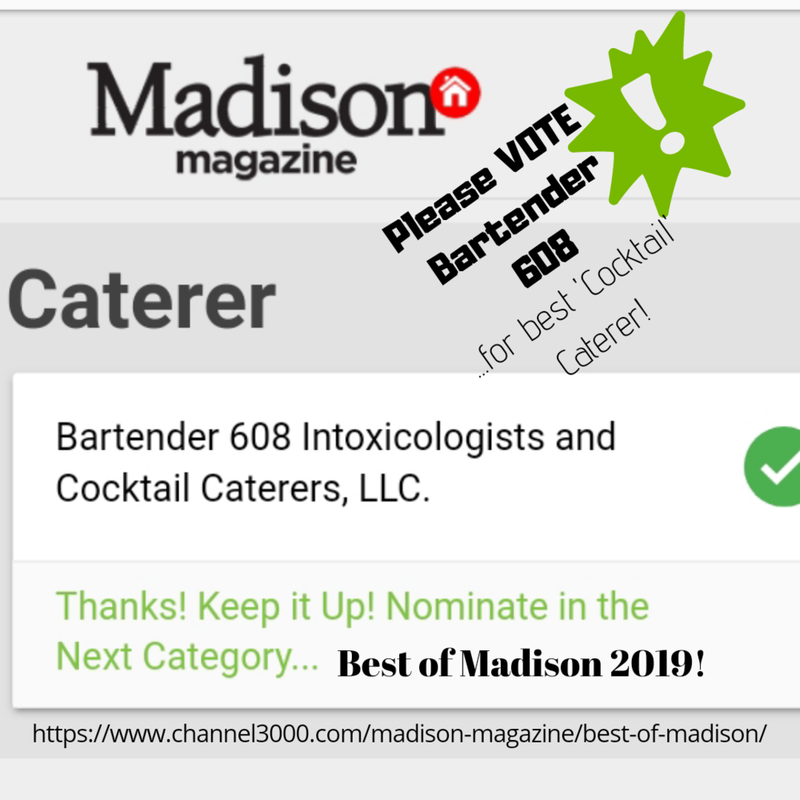 Vote Bartender 608 for BEST of MADISON 2019! Help my Local business TODAY! Vote BARTENDER 608 for 'Best of Madison' under CATERERS! Throughout Aug. 1 to Aug. 31, nominate any local* people, places or things to do in a wide variety of categories. You can vote every single day in each category per valid email address**. **You will be asked to register when you navigate to the Best of Madison voting page. It will ask you for a valid email address to vote in the poll. NOMINATE & VOTE ONCE A DAY, BARTENDER 608 TODAY! ( ( ( SHAKE WELL ) ) ) with that GOOD ice and strain into a cocktail glass. Garnish by simply grating some nutmeg on top.